Homemade Eggs Florentine is what greets us as we rise and shine on our first morning along the Great Ocean Road. Jessica and I have just had a great sleep in a cottage-style home surrounded by the dewy forest. The day before, we enjoyed a wonderfully turquoise day with our local Aussie friend, Orien. First stop was Ocean Grove and the water glistened beautifully under the beaming sun. 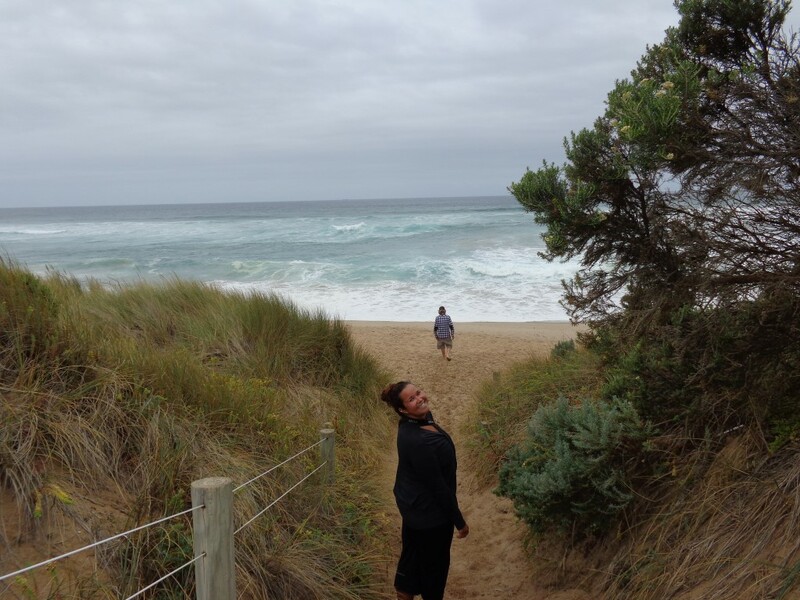 Orien led us to his old stomping grounds, 13th Beach in Barwon Heads, where I got to try bodyboarding for the first time. Incredibly for Victoria, it was warm enough to go swimming without a wetsuit! 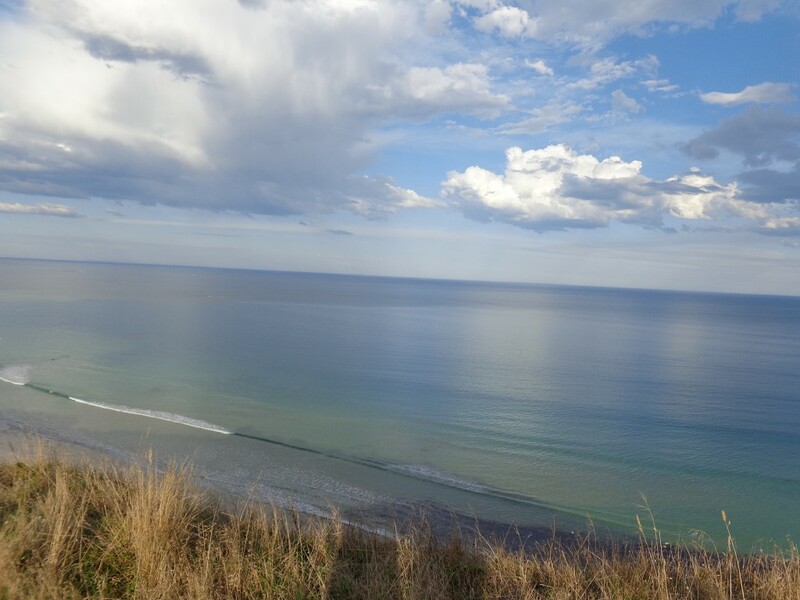 Next we visited the Split Point lighthouse, then road-tripped to Lorne and Apollo Bay where we devoured fish & chips on the pier as we took up conversation with a visiting American couple. We have now finished our delicious breakfast and are ready to hit the road again. It’s cloudy and wet today, but Jess and I are always ready for adventure! We’ve driven a couple of kilometres down the road when Orien slams on the breaks. A koala is running across the road, and rushes across the grass to a tree. It climbs up quickly as we get out of the car to get a closer look, and stares wildly into our eyes as we gaze at it in wonder. That’s the first wild koala we’ve seen and he is so much more active than any koalas in the sanctuaries. Although I’ve seen many koala-crossing road signs, I had never actually imagined a koala crossing the road. An hour or so along the bendy road, we arrive at the Otway National Park, and trek through the slippery foliage to our destination: the Beauchamp Waterfalls. It’s actually the perfect thing to do on a rainy day! The falls pour down over the green canvass of the forest into a still pool of water. We take a few photos from the look-out point, then follow Orien up and over the barrier and down a skinny trail etched in the ground, to the water below. Jess and I pose on the rocks with a much better view of the waterfalls. It’s so great to have a local with us who knows the ins and outs. After a few more stops to see beaches and views, we head back towards the city. It’s not quite swimming weather today, and Orien has a cricket game to play. During a gourmet mac & cheese dinner plus wine, Jess and I reminisce on all our travels side by side. 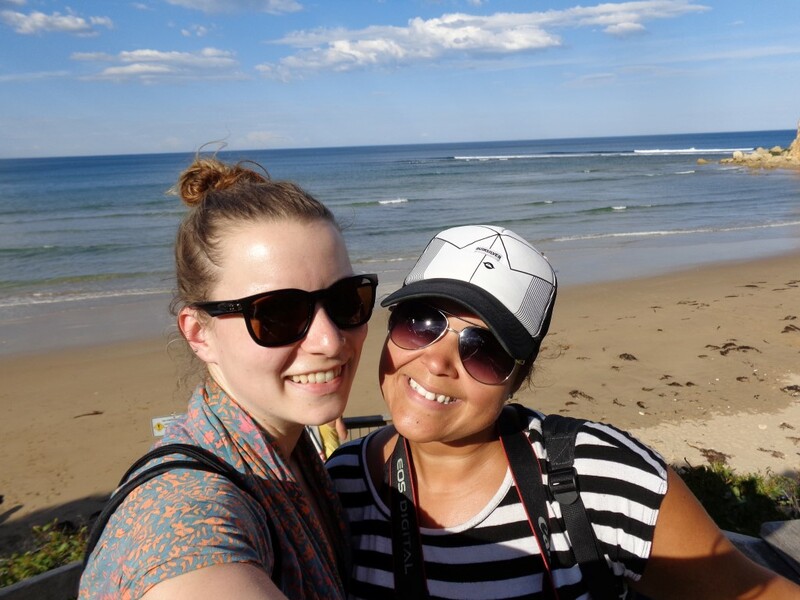 We’ve volunteered in Nicaragua and Honduras together, we’ve road-tripped through Vancouver island, and we’ve traveled to a wedding in Nova Scotia. It’s so nice to be reunited Down Under of all places! 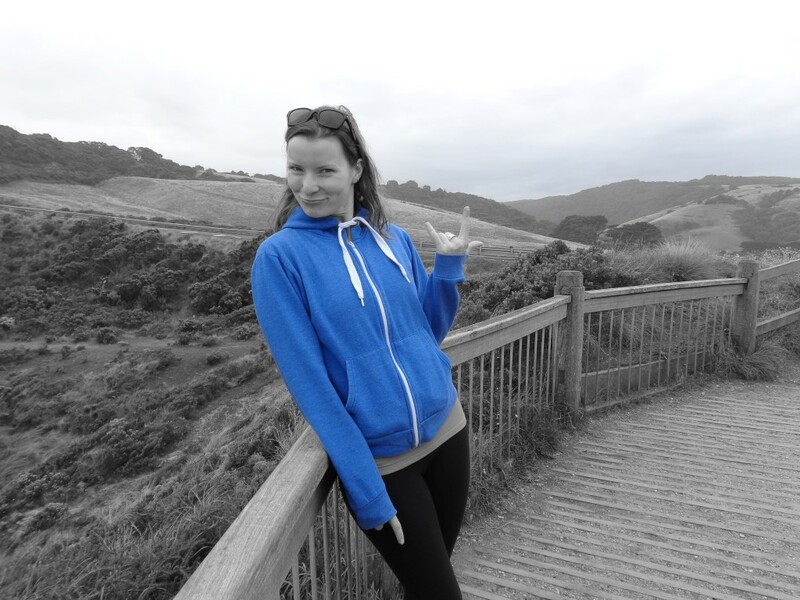 Rebecca Tremblay is a traveling bohemian with a love for culture, nature, adventure, writing, and sunshine! Follow her as she explores the world of beaches and sunsets, of voluntourism and dirt roads, and of adrenaline, the deep sea and high peaks. She’s been to 40 countries and loves living life in a bikini and with a backpack. She is the Founder of The Puppeteaching Project, which educates children about disease prevention, environmental issues and bullying through puppetry. You can also find her on Facebook, Twitter, and Instagram. 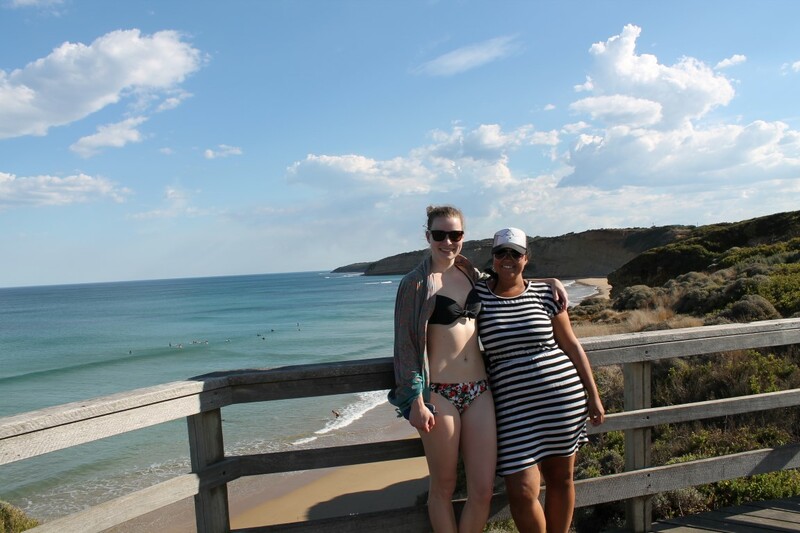 This entry was posted in Uncategorized and tagged adventure, Australia, Beach, experiences, Friends, Great Ocean Road, Quirky Bikini, Road Trip, Travel, travel photography, Turquoise Compass by Turquoise Compass. Bookmark the permalink. An Active koala? 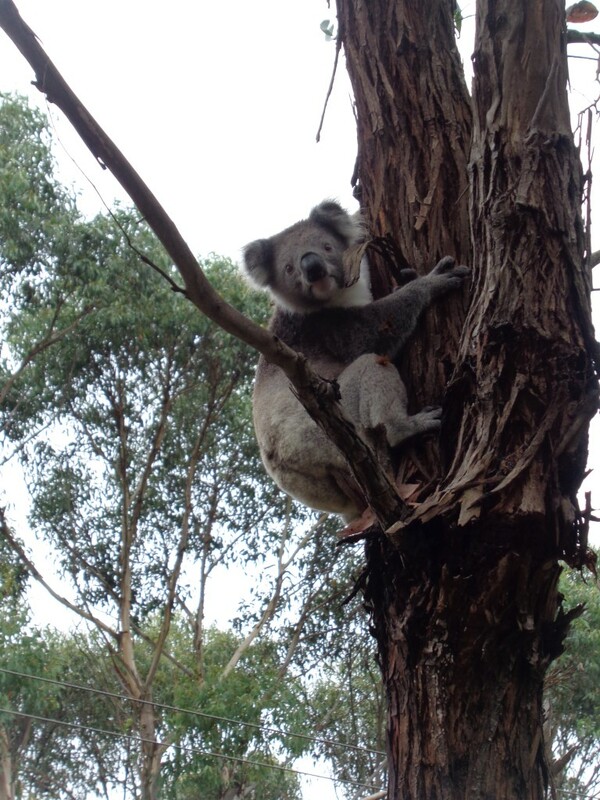 Even in the wild that’s pretty rare – they are usually high from the eucalyptus! Nice post! Yes, that’s how we felt. We were shocked and excited to see one boogying (as I call it) across the road. Their diet being low in nutrition leaves them lounging most of the day away. We were happy to see one awake and active. Thanks for reading. Thank you so much. I am always happy when I ignite the imagination of others through my photos. 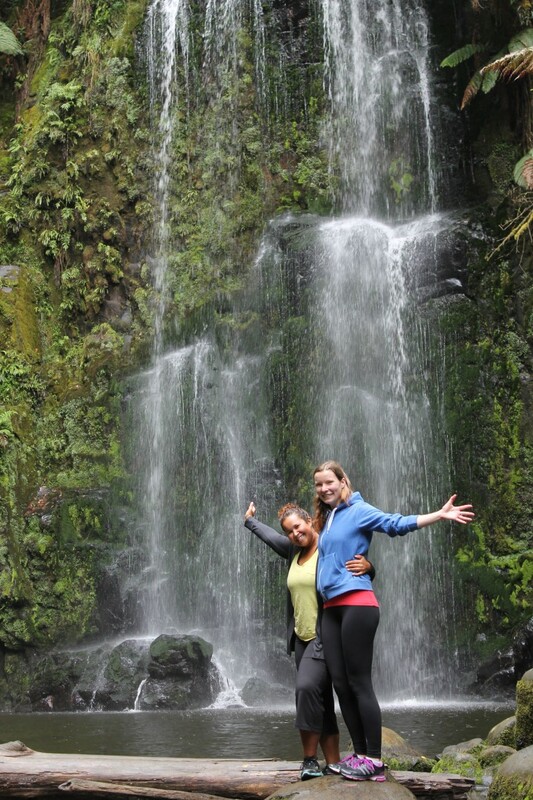 Did you ladies volunteer for Nicaragua through Canada World Youth by chance? My daughter went there in 2009. The puppetry is of interest too. I’ve heard of this through my daughter who graduated from Ottawa U in Theatre. No, we volunteered in Nicaragua through the Falls Brook Center in Moncton , New Brunswick. What a connection that your daughter went to Nica as well. We went in 2007. Great post, and that koala – so cute 😉 looks like you girls were having a lot of fun! Thank you so much! Isn’t he? Or she?! We had so much fun together. When old friends get together there is always good laughs and good ole fun. I love seeing your adventures!! Thanks so much. I love seeing your comments and feed back. Thanks so much for being a part of my journey. Wow! And you managed to get a bit of quirky in there too – Awesome. Yes! Nothing wrong with being quirky! I could never disagree with that. Glad to hear that you embrace your quirky. Oh yeah for sure; I think that is what my boyfriend loves best about me.